Facebook bought two San Francisco mobile startups last week. Much has been written about the Monday deal - Instagram, which is probably the highest acquisition price ever paid per employee ($77M!) I suspect the Friday deal – Tagtile – was probably two or three magnitudes smaller than the first one. However, it might be a more long-term strategic move than the first one. Why? A strategic acquisition is something that helps you enter new markets. Google acquired YouTube for $1.65B, instantly giving them ~50% market share in a new category (despite Google Videos experiements). SAP acquired Sybase to be the market leader in enterprise mobile market. Instagram deal could very well make sense as bolstering mobile and increasing engaged users or probably avoiding an acquisition by Twitter or Google. Either way, it does not help Facebook enter a new category, whereas the Tagtile deal can get Facebook into an entirely new multi-billion dollar market by connecting the social/ mobile commerce world with the massive offline retail commerce (and potentially later into mobile payments). The approach might be similar to the Google Android deal: buy a small player and scale with the big company resources to be the market leader. Let's not forget that Android was a small acquisition of an 8 people company in 2005 that later built the Google mobile strategy (Fortune article here). What is Tagtile? It is a small San Francisco startup (with 3 employees, according to Crunchbase) known for its cute cube (hardware dongle given away for free like the Square model) that retailers (mostly small to medium) can place at checkout. It also has a ‘universal loyalty card’ mobile app that can 'talk' to the cube and replaces plastic loyalty cards. Pretty cool – right? Except that there are probably 100 other startups trying to do more or less the same thing. I wrote about some of them in an earlier post. How is Tagtile different? It does not use NFC technology, which has been struggling to take off, due to the challenges of installing additional hardware at every retailer POS. The Tagtile cube requires no installation – no Internet connection, no POS integration - other than plugging into a power outlet. The ‘secret sauce’ is the connection by proprietary sensor technology with the mobile app. Once you download the app, you just tap the cube to connect your account and it gives you loyalty points and also helps you redeem points. 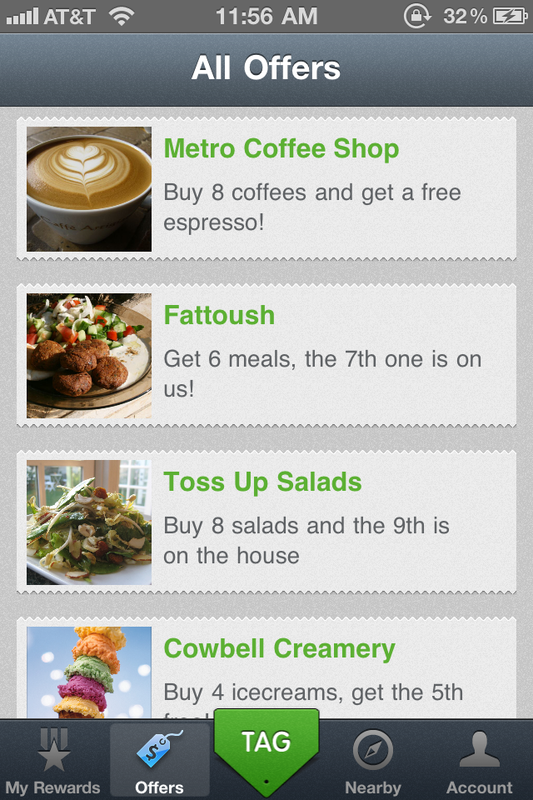 I had played with their app a few months back and thought the approach was extremely smart and interesting, but also felt it was doomed, since without a major capital infusion, they would never be able to scale beyond ‘Joe’s Deli’ and ‘Charlie’s Café’ in San Francisco nor differentiate in the noise of many ‘me-too’ mobile startups. Facebook changes everything. Facebook today has practically no visibility into actual retail purchases, but Tagtile (which could become ubiquitous on every retailer POS with the Facebook logo!) could give them an enormous amount of actual behavior data - including potentially purchase history at line item detail - that can be combined with all the rich Facebook user data. Since practically every single retailer – from Joe’s Deli to Safeway – and CPG brand is trying to promote themselves on Facebook through pages or stores, connecting the offline and online worlds is extremely valuable to give targeted offers to consumers, while precisely measuring the effectiveness of social/ mobile marketing campaigns end-to-end. 'Mobile loyalty is more interesting than mobile payments' was the gist of my earlier post. It also listed five critical success factors. Facebook with Tagtile could fulfill all of these unlike any other competitor – consumer profiles (through Facebook instead of retailer CRM), purchase history, big data analytics, loyalty program management, and the ability to be an aggregator/ consolidator app. Such a solution can give you laser-targeted offers, exactly at the right time when you are ready to make a purchase, unlike the one-way blast of Groupon offers. The last attribute – middleman/ aggregator role - is a game-changing move only Facebook can pull off. Today, all retailers and brands are trying to push their individual branded apps, in acute denial of the reality that consumers will never use 20 different shopping apps on their phone. Facebook has tremendous leverage as an intermediary, since they are already the de facto identity management solution for the web. A consolidator ‘Facebook Shop’ app (building on Tagtile) can force the retailers and brands to adopt that as THE consumer mobile shopping app in return for huge integration benefits with Facebook pages, likes, and of course perfectly personalized offers, points & advertisements! Isn't that the holy grail of multi-channel commerce (mobile, web, social, local)? Facebook can execute on this scenario to dominate social/ mobile/ local commerce. I realize this is speculative and Tagtile is just a small step in the overall commerce strategy for Facebook, but it shows their willingness to get into the messy offline commerce and orchestrate the entire value chain of consumer buying experience across all channels. As the value, and consequently marketing spend, shifts to the pre-purchase engagement phase AND customer retention through repeat business (loyalty), while plain search or acquiring fickle customers (e.g., Groupon) or the payment transaction becomes irrelevant, Facebook's $100B valuation might not look like a stretch! Update (4/26): I later found out that Tagtile was founded by two young IIT alumni (Indian Institute of Technology) from an Economic Times article that gives more intimate details behind the venture and the buyout. How would this be helpful to median income households across various geographies of the world? Thanks for the comment, but not sure I understand the question. If you are asking about the value of mobile loyalty, ability to get relevant coupons and targeted offers should be quite valuable to any spend-conscious household, instead of clipping coupons sorting through junk mail. Could you please explain what you meant? Thank you for the reply Alex. I have reframed the question for you. How would Tagtile/Facebook know what is in my grocery cart? Do they have a tie up with the retailers who serve median income households to get the data? 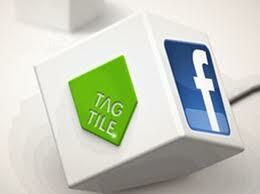 Tagtile/ Facebook has a relationship with the merchant to set up the free cube at the check-out. In its most simple form, the customer taps his smartphone at the cube & the app communicates with the Tagtile cloud to check-in/ register purchase to get loyalty points & redeem coupons, but you don't get the SKU-level data. As the next step, the solution could be integrated with the POS systems through an SDK that has the order details at the line item level. This data is extremely valuable to deliver personalized offers (also with Facebook Offers), as it shows what kind of things you really buy irrespective of the things you 'aspire to like' on Facebook.